Great value, works very well and easy to install. Jul 11, 2016 1 of 2 found this helpful. An excellent budget dash cam. 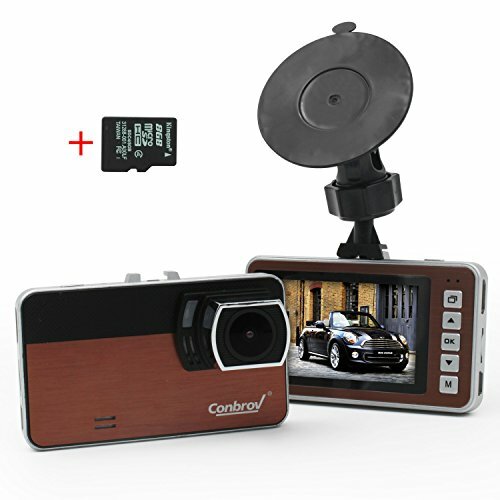 Fantastic little dashcam at a great price! 5 of the 9 total reviews for this product are unverified purchases. While this is a higher percentage of unverified purchases than we'd expect to see, it does not appear to have a significant impact on the overall rating. We counted 9 reviews for this product over the span of 56 days, an average of 0.2 reviews per day. If these reviews were created randomly, there would be a 99.9% chance that we would see 2 or fewer reviews on any given day. We didn't find any days exceeding this threshold.